In order to live up to the No. 1 ranking from the College Atlas Encyclopedia of Higher Education and to make room for growth, the Sinclair School of Nursing is planning a new building in the near future. Beginning architectural designs are in place, and fundraising has begun, with hopes of a new building in five years. The Sinclair School of Nursing’s new building is estimated to cost $55 million, and your gift will make a difference. Give now! 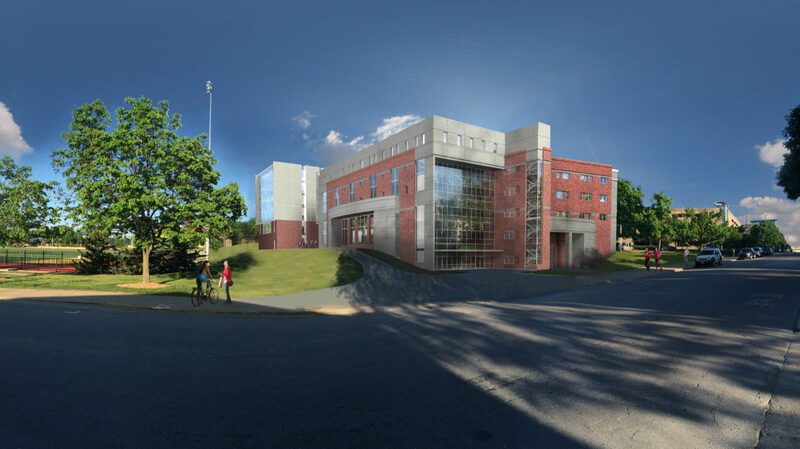 The new School of Nursing building will create an environment that will significantly leverage technology to enhance productivity in our core missions of instruction, research, service and economic development and provide space to increase the number of students served. Accommodate an increase in enrollment of 40 students per class and attract preeminent faculty and the required increase in staff to maintain accreditation. Provide an experiential and evidence-based learning environment. Create a synergistic research environment for faculty and research teams. Expand the Essig Simulation center and establish safe practices facilities with mock hospital and ambulatory settings. Institute an interdisciplinary center for research and innovation, emphasizing the merging of nursing, science, engineering and other disciplines to generate knowledge for nurses at the frontlines.